iMPACT and 205 LIVE Wrestler wins 3 Belts in 1 NIGHT! 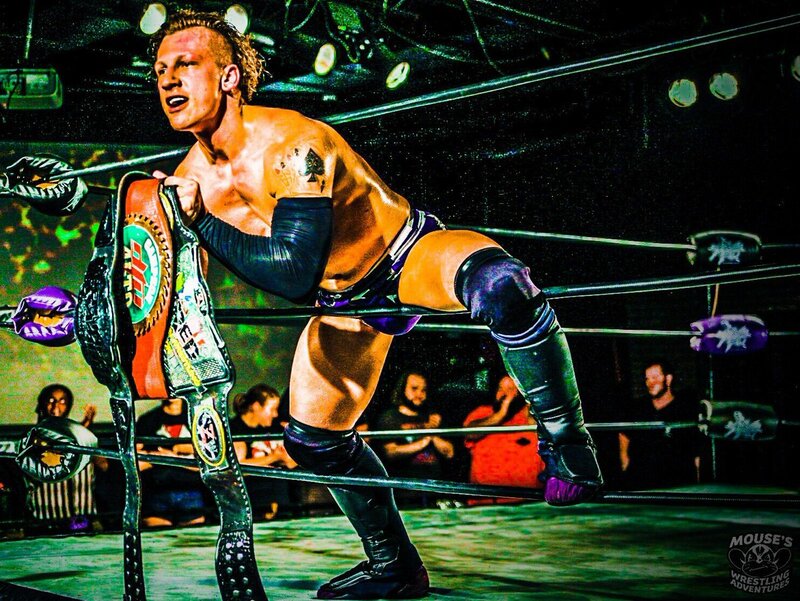 Further cementing himself as one of the hottest performers currently making 2018 his, Ace Austin wrapped yet another belt around his waste this past Friday night at Rockstar Pro‘s Weekend at Murray’s in which a triple threat match went down for 3 Title Belts in one match. Combat Zone Wrestling (CZW) Wired Champion Zachary Wentz, Desastre Total Ultraviolento (DTU) Alto Impacto Champion Alex Colon, and Wrestling Revolver Scramble Champion Ace Austin all competed for each others straps in a WINNER TAKE ALL Championship match for ALL THREE BELTS. A belt held by the likes of 205 Live's very own Drew Gulak and Lio Rush as well as the likes of Dave Crist, Joey Janella, AR Fox, Shane Strickland and of course, Maxwell Jacob Friedman. Ace Austin has made appearances on both 205 Live and iMPACT this year already.